While the “Volstead Act” is remembered, the name of the architect of that legislation is not. He was Andrew John Volstead, a member of the House of Representatives for 10 terms. Volstead was a representative from Minnesota. He was born in that state on October 31, 1859, the son of Norwegian immigrants. He attended the public schools, then studied at St. Olaf’s College, in Northfield, Minn., before transferring to Decorah Institute, in Decorah, Iowa. Volstead graduated from that institution in 1881. After studying law on his own (while employed as a schoolteacher), he was admitted to the bar in 1883, commencing practice in Lac qui Parle County, Minn. In 1894, he was married to a schoolteacher and assistant county auditor, Nellie Gilruth who was born in Scotland; and a daughter , Laura , was born to the couple the following year. Laura received a law degree and served as secretary to her father. She was married to Carl Lomen, the Reindeer King. 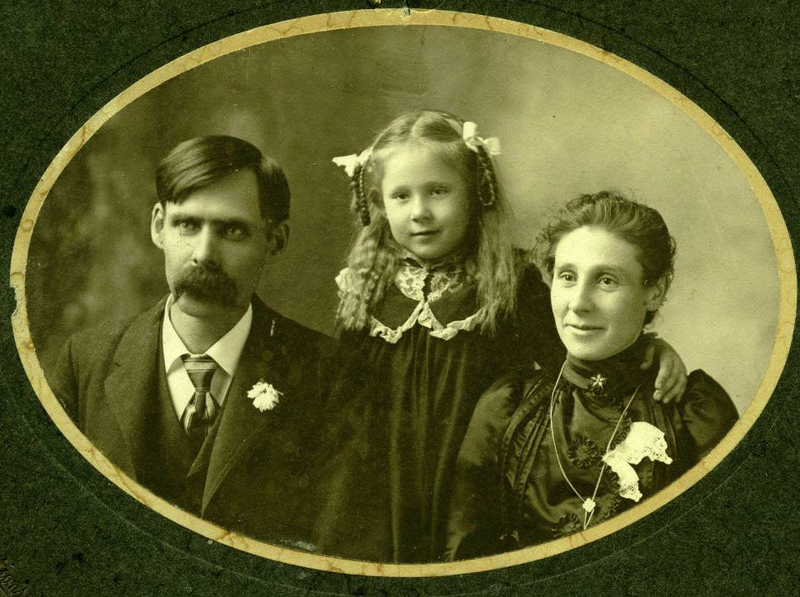 Andrew Volstead with his daughter Laura and wife Nellie. After briefly residing in Wisconsin, the Andrew moved to Granite Falls, in Yellow Medicine County, Minn., in 1886. Andrew Volstead served as the county’s prosecuting attorney from 1887- 93 and from 1895-1903, and as mayor of Granite Falls from 1900-1902; he also squeezed in terms during that period as a member of the board of education (including a stint as president) and city attorney of Granite Falls. He was elected to Congress as a Republican, and remained at his post from March 4, 1903 to March 3, 1923. For four years, Volstead was chairman of the Committee on the Judiciary. Among the unpopular stances he had the courage to take was arguing for enactment of federal legislation outlawing lynching. Before leaving Congress, he spearheaded passage of legislation less memorable than the Volstead Act, but of immense significance to his constituency, and to farmers nationally, the Capper-Volstead Act . The name of “Volstead” will forever be associated with an experiment that failed. It was, however called the “Noble Experiment” – a characterization by Herbert Hoover – and it was grounded on a sincere desire to rid society of the ills of alcohol. It was designed to improve health, cut crime, and relieve taxpayers of a portion of the burden of subsidizing prisons. The problem was: it failed to take into account human nature and the truism that things are apt to go wrong when the government tinkers too much with personal choices. What the 18th Amendment did was to ban “the manufacture, sale, or distribution of intoxicating liquors.” It went into effect July 1, 1920. The Volstead Act — also known as the National Prohibition Act — was enacted in October, 1919 to provide for enforcement mechanisms. It gave federal authorities the power to prosecute violations. Also, it defined intoxicating beverages as those containing more than .5 percent alcohol. 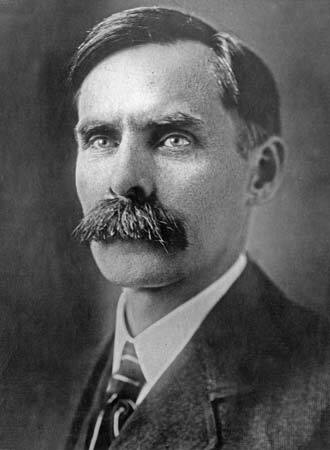 The loss of his congressional seat in 1922 was apparently more tied to low farm prices — resulting in rejection of numerous incumbents by voters that year — than to the Volstead Act. Volstead resumed law practice in Minnesota, then was hired in 1924 as legal adviser to the chief of the National Prohibition Enforcement Bureau. He served in that capacity until 1933, then returned to Granite Falls, remaining active as a lawyer until the age of 83.